Trying to fight against subversive socialists is like trying to fight off an octopus bent on eating you. Every time you fend off one arm, another one immediately grabs you! That is what conservatives face when they have to deal with liberal RINO Republicans standing right along side the staunch leftist Democrats who want to neutralize and nullify every move President Trump makes in trying to fulfill his promises to the voters who put him in office. Needless to say, it’s extremely frustrating to know that your enemies may be the people in your own political party. Petty whiners that are upset that Donald Trump achieved what they wanted to do but couldn’t because they are out of touch with average Americans. But how do they stay in office – who is funding their campaigns to keep them in Washington? The man behind all the feuding, billionaire George Soros, has been funding almost all of the anti-Trump groups. This also includes the rogue RINO Republicans who want Trump demoralized and ousted from office so badly they are willing to collude with Democrats to do it. The political arena has been full of division and not just between Democrats and Republicans. The recent disaster with the Republican led healthcare bill shows that it is a war between moderate and conservative Republicans. A recent revelation shows that some Republicans are actually in the pockets of wealthy liberals who have monetarily compensated them to push back on Donald Trump. The person funding these politicians is none other than George Soros. The same man who paid for protestors to be bussed in to various cities after the President was elected to make it appear their were a large amount of citizens who opposed his presidency. 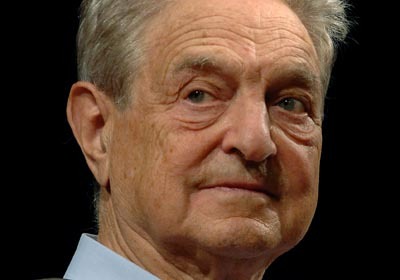 Soros is worth over twenty five billion dollars and has invested money into failed economies such as Greece which is in the middle of an economic crisis. He was a large contributor to President Obama’s campaigns as well. What America is facing from Soros is nothing less than a well-funded, well-organized and well-connected revolutionary conspiracy to “fundamentally transform” America into a socialist dictatorship. Using Soros’ money, Obama got us 75% of the way there and Hillary was meant to get us through the final 25%, but Trump’s election was a variable they didn’t account for. Now it is up to Soros to pay protesters and trouble makers to keep the anarchy and anger levels high until another acceptable liberal leftist can be found to push us all the way into the rabbit hole. And who knows – it could be found in the guise of a RINO! Mike Huckabee Drops A Huge WARNING For America — Obama Is FURIOUS Over All That Is Revealed!